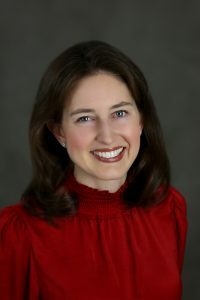 Lansing, Mich., (April 10, 2019) – Today, the Michigan Municipal Electric Association (MMEA), a Michigan trade association of 40 locally-owned electric utilities, is pleased to announce Katie Abraham officially as its new Executive Director, following appointment by the MMEA Board of Directors in 2018 and a five-month leadership transition period that began last October. She succeeds Jim Weeks who now retires after leading MMEA since 1996. Abraham brings extensive experience in the energy sector. Prior to joining MMEA, Abraham served as Associate Director at the American Petroleum Institute (API) Michigan where she worked with state lawmakers and executive and regulatory leaders to advance energy policies. As Environmental and Tourism Policy Advisor and Assistant Legal Counsel in the Michigan House of Representatives from 2013 to 2015, she advised policymakers on energy and environmental legislation. Abraham currently serves on the board of directors of Advancing Women in Energy, which seeks to promote energy and energy-related careers for women. She is a strong advocate for young people seeking careers in the energy field, and promotes STEM (Science, Technology, Engineering and Mathematics) education as the pathway to the great jobs and careers of the future. Abraham holds a J.D. and Master of Environmental Law and Policy from Vermont Law School, and a B.A. from Kalamazoo College. Click here to learn more about the Michigan Municipal Electric Association.